i found the gate and went out but could not find any sand, do i have to keep walking right or ?? What has ahppened to the other posts???? I looks like we are missing quite a few?? I'm going to give Dr's rocks for another crack tomorrow. Had a really god go up there a few weeks ago. Were getting into some really got spots before the tide got me. I got over 30 pieces in 2 pans! Oh and thanks Phil for the update on the website situation. Going to have to give it a crack, heard a few people now saying it a top spot. 1) what is a clay pocket? hard, and under the redclay alot of blackish sand/clay will these hold gold better than other areas? Hi Loverr we had a look at Doctors Rocks today and i saw 3 types of clay. One is grey about 1-2 feet below the surface rocks and sands. It is glacial in Origin. It had visible Gold sticking to it. The other courser clay is a golden colour (dolerite) and was inside the grey clay (pocket) and contained good gold. the other is a dark colour and looks to be from the tertiary deposits. 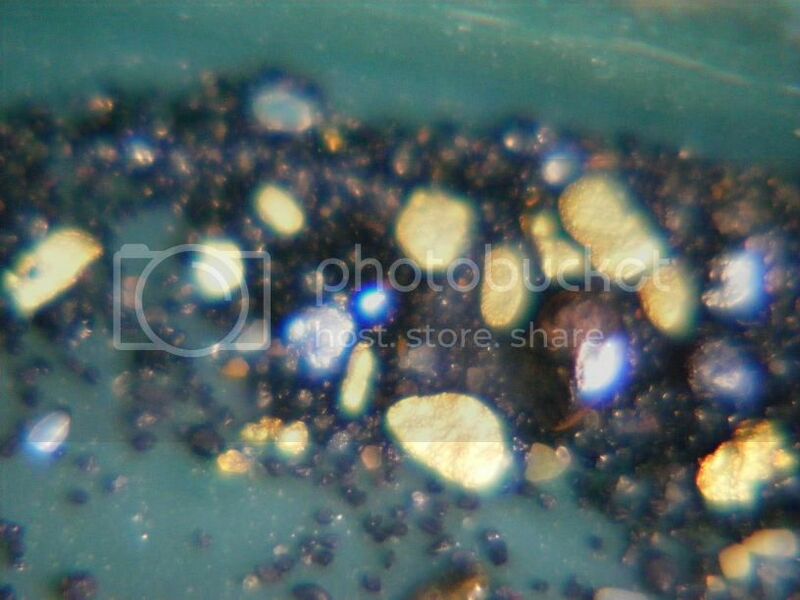 Didnt find any gold in it, But some Oriental Sapphire, Zircon, Topaz and Peridot perhaps or green sapphire? 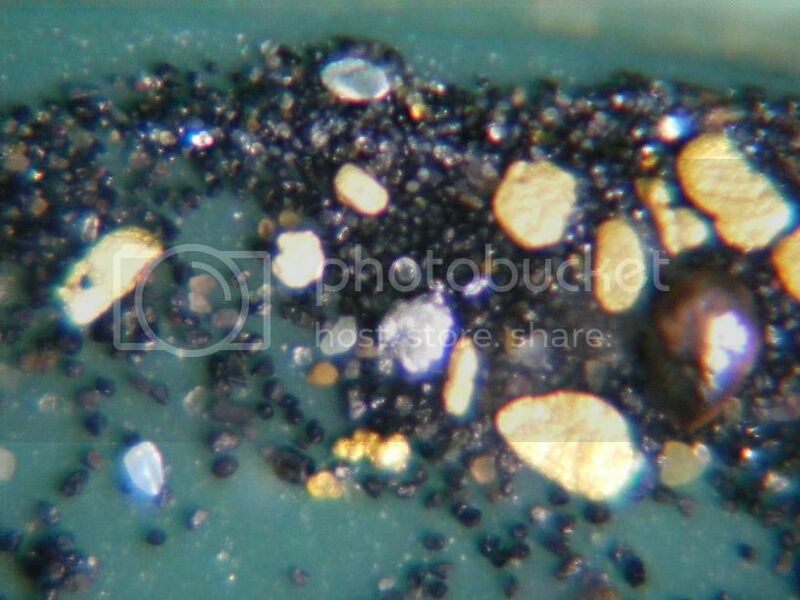 under magnification and interestingly what looks like Osmiridium? anyone know if they ever found any ozzy at doctors rocks? it is on the same glacial run that went through from bald hill to cradle mountain down to the sea at Wynyard and would explain the Osmiridium. Its not magnetic and "looks" just like it to me? and is heavier than the gold. It sits lower in the pan so,, eureka and all that. the largest speck is approx 30 thou. 0.75mm. not quite a nugget but still. Platinum group. it also displays this mad refractive thing. its a bugger to take a photo of, what ever it is..
and very valuable! so what would you suggest? just scrape the top or dig further down?